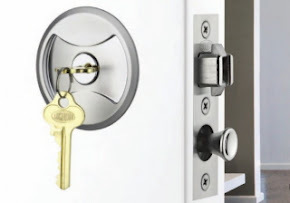 For more information on how Bilock can make you extremely secure, contact us on (314)266-1533 today! NDE magazine, one of the voices of the Locksport Community, recently released their 3rd installment of this new and popular magazine. son. That was the old paradigm, or what some might even call “the good old days” of locksmithing. generation, and the system worked reasonably well. that. What changed? Locksmiths stopped making locks. society, but that role had changed. understand why they would hold to their old position of security through obscurity. the consumer have been shuffled down on the list of priorities. large was fulfilling that need. serves to show us that the physical security industry has done a poor job of informing the public. is true, why was the public not informed or the vulnerability corrected? Some argue that it is the public release of information, such as bumping, that creates the vulnerability. the subject was released widely. There is just enough truth in that argument to make it dangerous. better off not knowing of the problem? Of Deception. Despite this, the locksmith industry continues to hold tight to its old ways. invalid, does it not serve to validate the article itself? Food for thought. National Public Radio aired this report about a sting operation that nabbed "Bump Key Bandits" in Texas, late last year. It is staggering the quantity of people I meet who know about lock bumping. If as many people know about it, you can be assured that many people are doing it. How would you know? There is no evidence of forced entry. California has been proactive about the issue of scam locksmith companies with the recent introduction of new legislation that increases fines and convictions for unlicensed locksmiths caught for ripping off consumers. Assembly Bill 2592 by Assemblywoman Fiona Ma (D. San Francisco) and inspired by a 7 On Your Side investigation passed by a 42-27 vote. Most democrats supported the bill. Republicans mostly opposed it. The bill would increase fines for unlicensed locksmith activity tenfold to $10,000. It would also place restrictions on misleading ads and require licenses to be prominently displayed. A 7 On Your Side hidden camera investigation originally aired in February 2007 and uncovered exactly how the scam works. 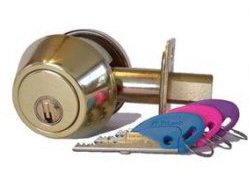 Consumers locked out of their home call a locksmith desperate for someone to pick the lock. 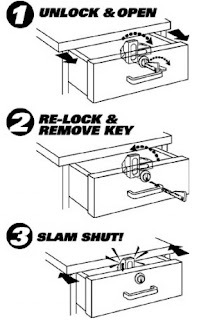 The locksmith pretends the lock is pick proof and then proceeds to drill the lock. 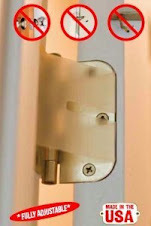 The unsuspecting homeowner is then charged as much as $5,000 to replace the lock. Legitimate locksmiths say the normal charge would be $75 to $125. If the consumer complains about the charge, the locksmith sometimes threatens to leave without replacing the broken lock. A 7 On Your Side check of locksmiths advertising in the San Francisco phone book found 98 percent of them were unlicensed. Many listed phony addresses or no addresses at all. Many of their phone numbers automatically forwarded to a central call center. Sometimes that call center is as far away as New York. The bill now goes to the full senate. 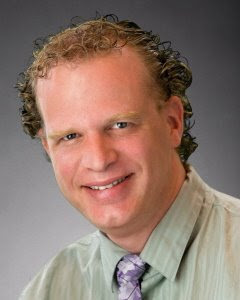 Nick Hardeman, a spokesman for Assemblywoman Ma, says his office would work with the California Department of Consumer Affairs to gain their support. He says the Department is concerned that some of the provisions in the bill would be too burdensome and impractical to enforce. Or when the keys to their house, office or automobile have been misplaced, stolen or even copied unknowingly (suspected), the have the need to re-code their locks. We can offer automobile re-keying services but prices are subject to application. There are many and varying brands and manufacturers of automobile lock cylinders, requiring multiple different keying kits. Stocking all possible kits to service all makes and models of foreign and domestic vehicles requires significant amounts of warehousing that directly impacts costs. Last year we posted an article on Brighthandle. A glowing handle indicating the room was in use. Here is another take on that design, only in the full form factor. an entire door that glows the color, determining whether it is busy or not. Now even those inebriated souls can be instantly stopped in their tracks. Hitachi, one of those forward thinking Japanese companies, recently released details on this new type of ignition lock for cars. A biometric fingerprint ignition lock, effectively does away with the need for mechanical car keys completely. 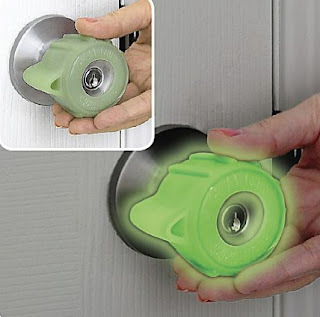 You will never lose the keys to your car again (unless you lose your finger). The one drawback, could be, when taking the car to your mechanic for service or repair. You would need to program their fingerprint into the biometric reader. This will be one surefire method to prevent auto theft or even the kids from taking mommy and daddy's car for a joyride. The next 12-24 months should be an interesting time to own an iPhone. There are many new companies producing all manor of gadgetry to work in conjuction with the iPhone. One such company is Lextech. Check out this interesting video of a pan, tilt, zoom camera, being controlled using an iPhone.